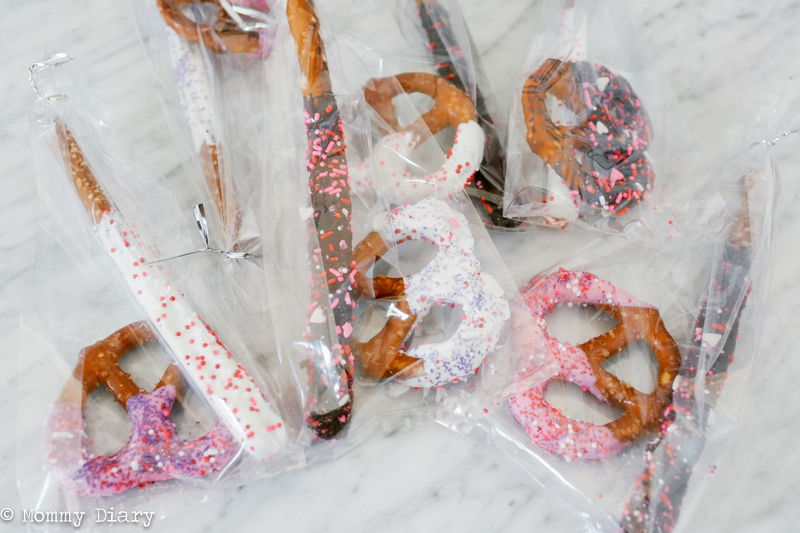 If you have the time and energy to make your own favors, give these pretzel treats a try. It’s very simple and easy to make with no baking required. The best part? You can use various color combinations for different occasions. For example, try red, green and white for Christmas, Green and yellow for St. Patrick’s Day and Pink, white and red for Valentine’s Day like I did for this post. Here is the easy-to-follow instructions. 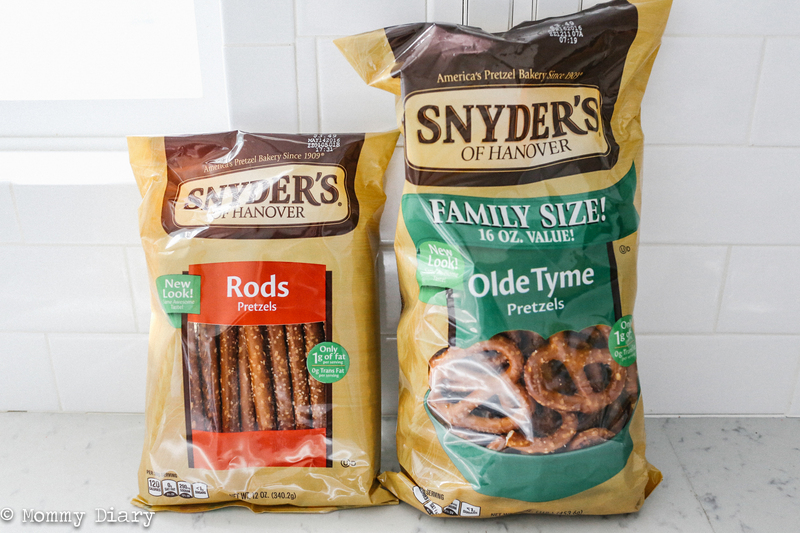 Snyders’s pretzels work really well for these treats. Use two sizes for variation. Follow the instructions on the back of your bag. Depending on your microwave, time may vary. I like to put the microwave in defrost mode and set the timer for 1 minute, stir, then another 30 seconds. Continue to use 10-20 second increments until you get the right consistency. 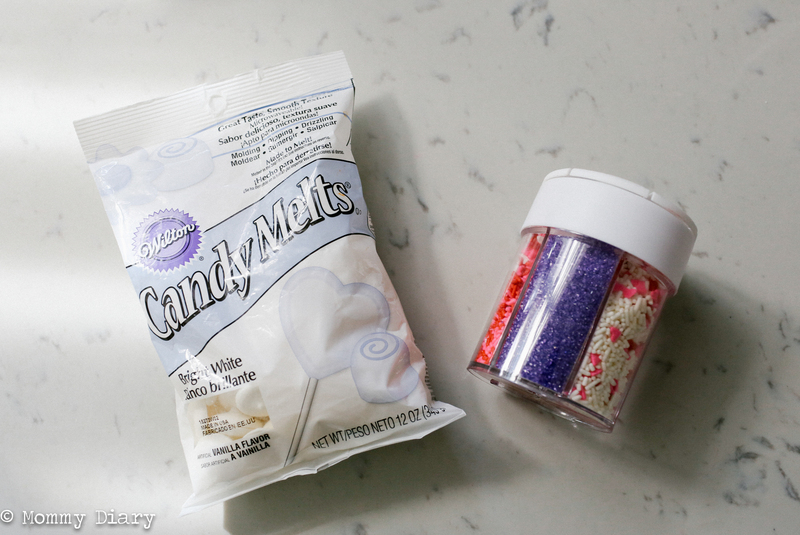 Don’t overmelt because the candy melt will become too runny. I like to do this over a large bowl so I can re-use the sprinkles. Step 5: Carefully place it on parchment paper on cookie sheet. Or you can use any wipeable flat surface. Step 6: Let it dry for about one hour. Or you can place in refrigerator for faster drying. That’s it! Then pass out as classroom treats, birthday + shower favors and more. If you like this post, please pin the photo below. It helps other moms find this post for more inspiration. Thank you for your support! These are so cute and look so do-able! They’re so easy and tastes good! 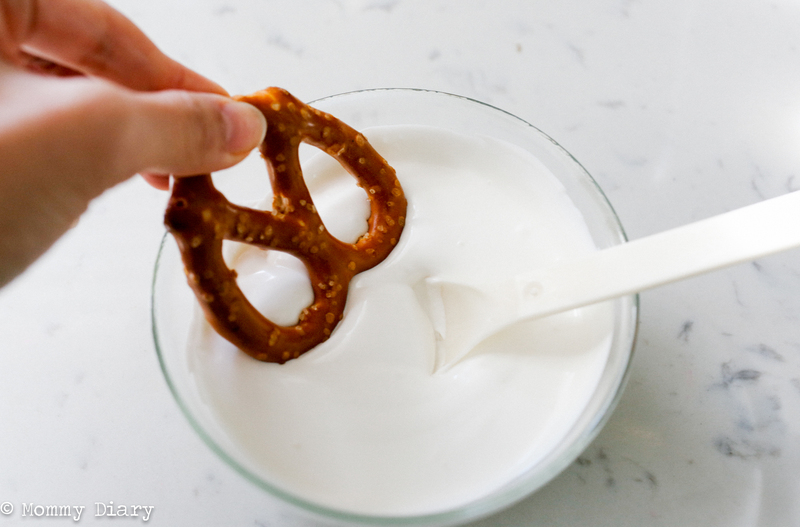 This post is making me just now realize how easy pretzel snacks are! 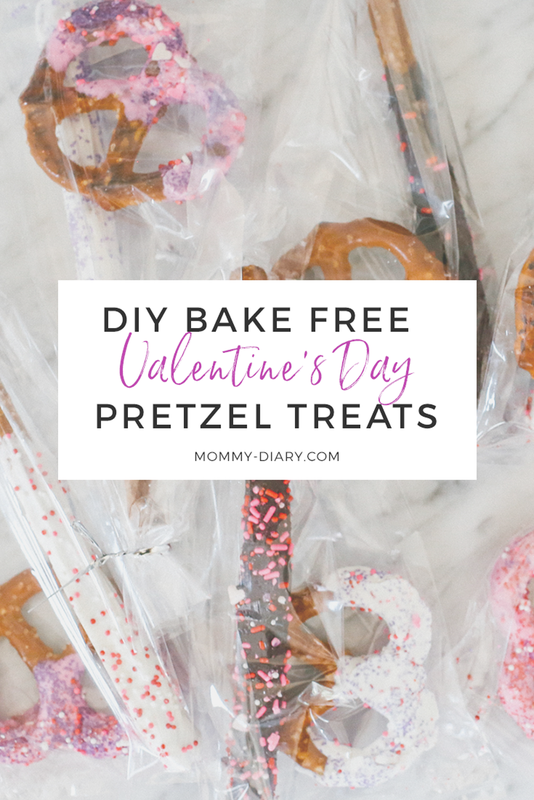 I totally need to do this for valentine’s day with the kiddos! Thanks for sharing. 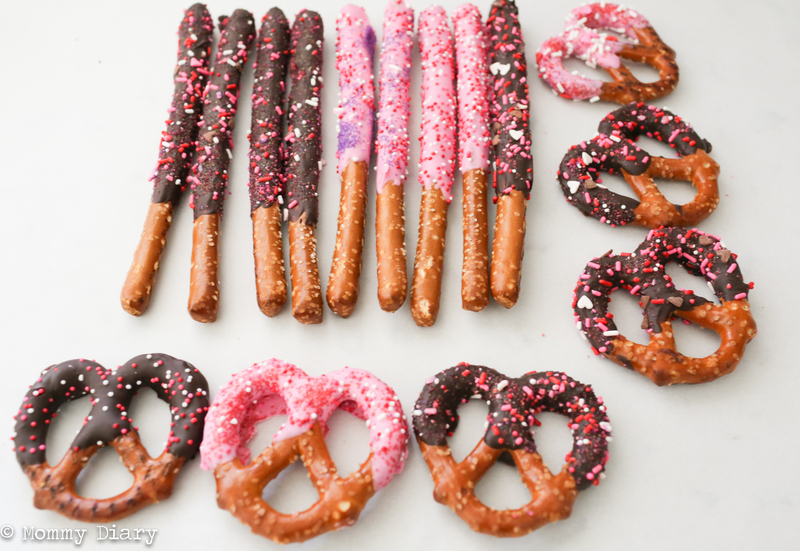 I LOVE chocolate-dipped pretzels! These are adorable and festive! Yes they are. And the kids and teachers love them! It’s look so fancy but. It’s so simple! I love it! Those are adorable! And holy yum! 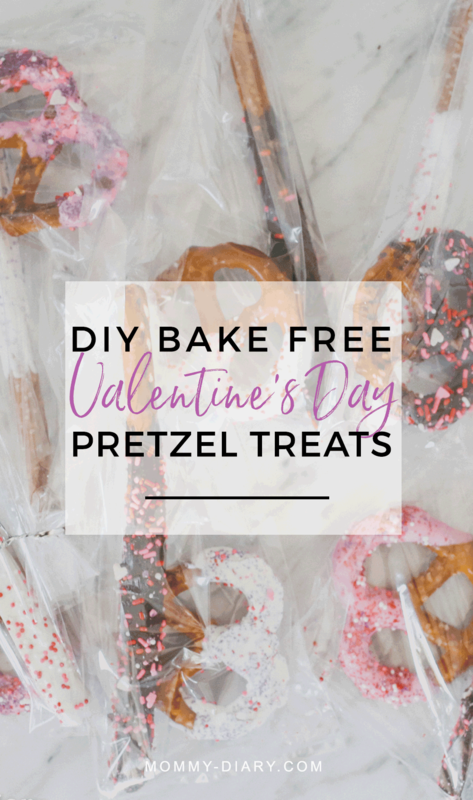 Yum, chocolate covered pretzels are some of my favorite treats! How easy, and how yummy! I need those stat. I love chocolate covered pretzels. 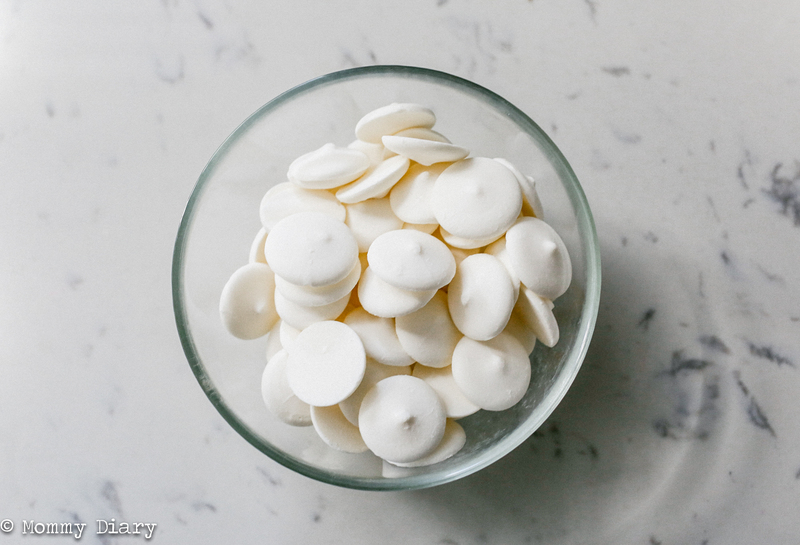 I had no idea how simple these delicious treats are to make. What a wonderful gift idea for any holiday or special occasion! Thanks for sharing. Chocolate covered pretzels get me EVERy time. And yours look delicious. Thanks for the tips on how to make them at home. I’m glad you enjoyed them. It takes some time but its very simple to make! 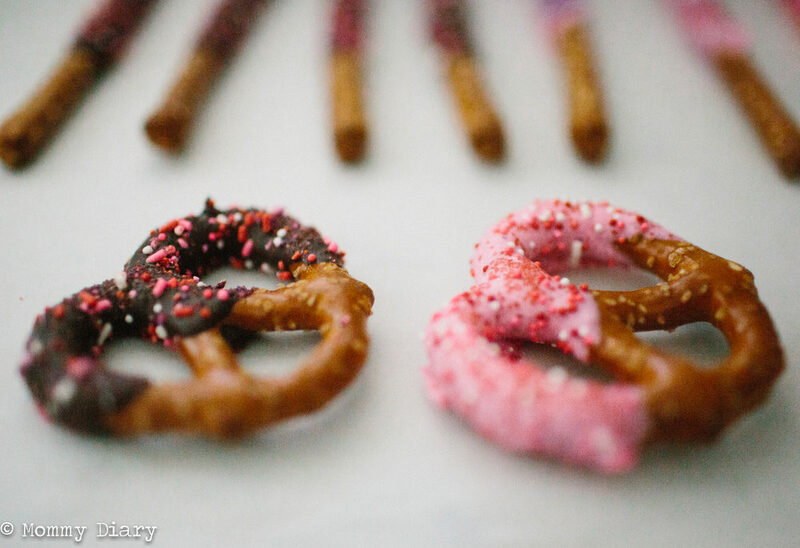 Chocolate covered pretzels are so yummy!! I haven’t made them in such a long time. I love how easy they are to make. I might have to get my toddler to help me, he would love putting on the sprinkles. I love these! They’re always so addictive! These are super cute! Love salty sweet foods!